Link to MAP of Store Location!!! 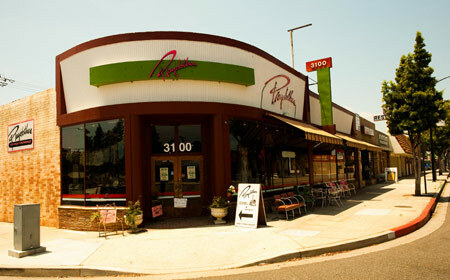 Playclothes has served the Los Angeles, Hollywood, Burbank, Studio City areas for more than 20 years! We have an extensive collection of Vintage fashions that range from the 1930's to the 1980's. Our specialty is clothing from the 40's - 60's. We have everything for the vintage lady, gentlemen and even child or baby including outstanding suits, dresses, shirts, pants, blouses, jewelry, gorgeous hats, incredible footwear, undergarments and much more. Playclothes also offers a world of different looks for your home: furniture for any room in your house, napkin sets from the 40's, dishes, curtains, mirror's, prints, lighting and collectibles. Creative displays, the volume and quality of our unique vintage inventory, and our helpful staff provides a pleasant shopping experience at Playclothes without the high prices of other retailers. Costumers and designers know they can depend on the staff of Playclothes Vintage to find merchandise to recreate an authentic period setting. A Serious Man, Because I Said So, No Country for Old Men, Benjamin Button, Flag of our Father, The Painted Veil, Dreamgirls, Oh Brother Where Art Thou, Indiana Jones and the Kingdom of the Crystal Skull, Walk Hard, Big Fish, The Aviator, Shopgirl, Starsky and Hutch, Cat in the Hat, Polar Express, Seabiscuit, Divine Secrets of the Ya-Ya Sisterhood, Down with Love, The Lady Killers, Catch Me if You Can, LA Confidential, Austin Powers, Pearl Harbor, Runaway Bride, Pleasantville, Beyond the Sea, and more. Mad Men, Ghost Whisperer, Desperate Housewives, Lost, Hannah Montana, My Name is Earl, That 70's Show, Dharma and Greg, The Drew Carey Show, 3rd Rock from the Sun, Whoopi, Lizzie McGuire, The Division, The King of Queens, American Dreams, Passions, Yes, Dear, Two and a Half Men, Any Day Now, The George Lopez Show, Crossing Jordan and more. We have a extensive collection of Vintage fashions that range from 1900 to the 1980's. Our specialty is clothing from the 40's - 60's. We have everything for the vintage lady, gentlemen and even child or baby including outstanding suits, dresses, shirts, pants, blouses, jewelry, gorgeous hats, incredible footwear, undergarments and much more. Playclothes also offers a world of different looks for your home: furniture for any room in your house, napkin sets from the 40's, dishes, curtains, mirror's, prints, lighting and collectibles. 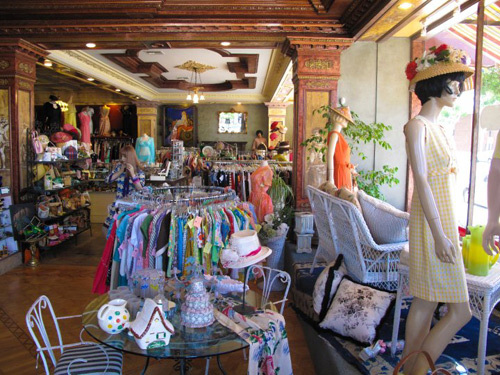 Creative displays, the volume and quality of our unique vintage inventory, and our helpful staff provides a pleasant shopping experience at Playclothes without the high prices of other retailers.